Today we are sharing the FINAL Wanderlust Story of our four featured travelers that inspired the Wanderlust Collection! Today's story is on Kimberly Stabenow and her journey through India. Check out the past Wanderlust Stories on Megan Cline, Carolyn Monke, and Anna Vaughan. These ladies embarked on life-changing travels and Moth Oddities has been giving an inside peek into their adventures on Instagram every #wanderwednesday for the past two months. Kimberly is just finishing up her 200 hour yoga teacher training program in Goa, India at the Kranti Yoga School. Read on to learn more about Kim's experiences including her demanding yoga school schedule, a scary kayaking accident, and her insights from traveling solo! 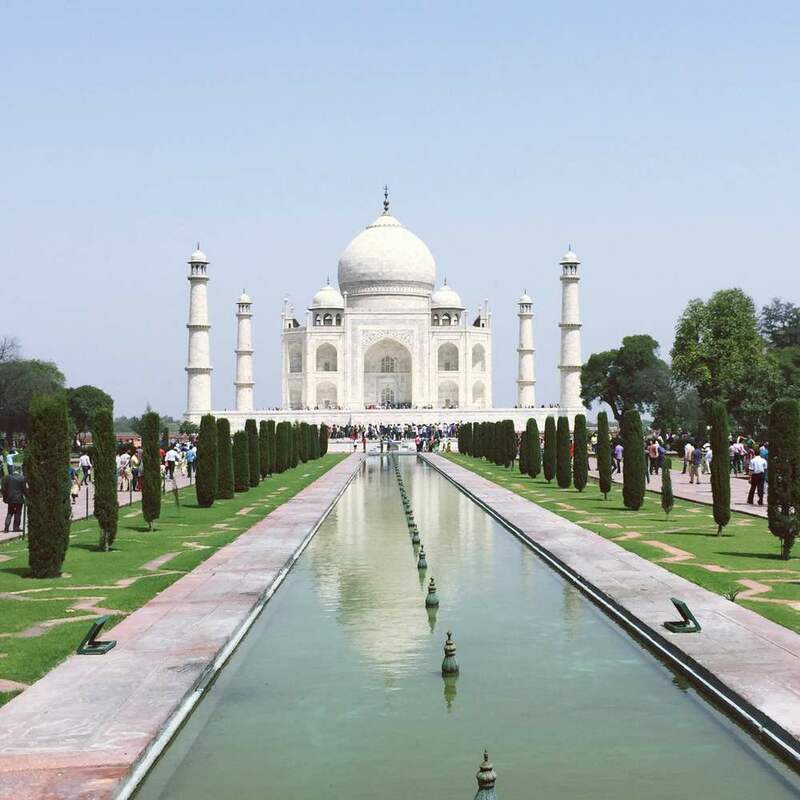 Kimberly: I have been traveling throughout India for the past 6 weeks! I caught the travel bug young- while growing up, my family took many road trips around the United States. In middle school I was able to travel with my family to Thailand and Peru. In high school and college I traveled to Europe several times. Each of these experiences made me love traveling and learning about new cultures even more. I have had a fascination with India since middle school (probably because I am obsessed with elephants). I knew I would need to travel to India asap. Meanwhile, I had been practicing yoga for a few years and decided I wanted to deepen my practice and learn how to teach yoga to others. 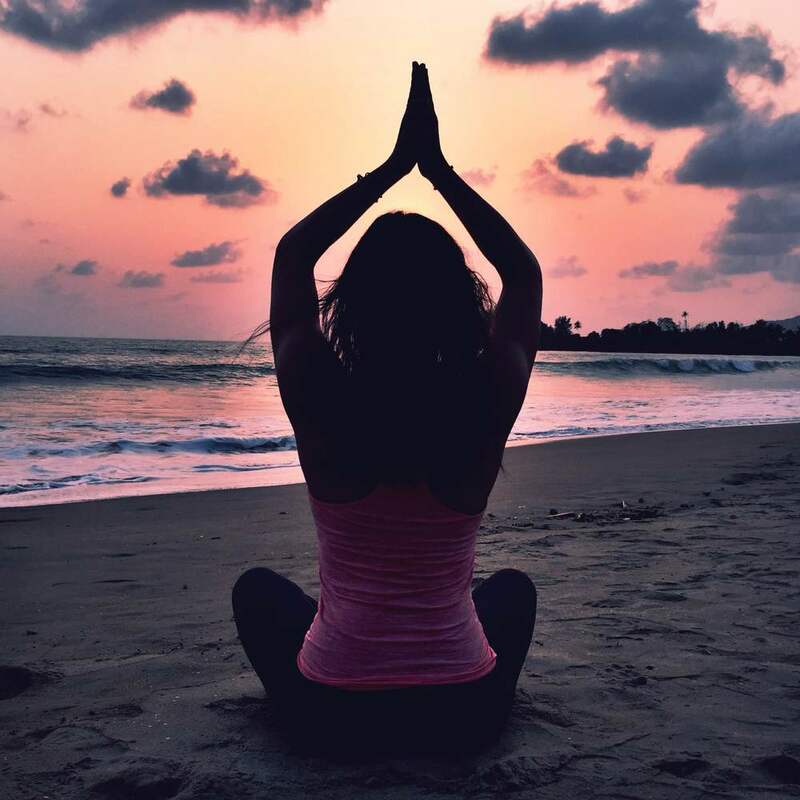 These two dreams - traveling to India and becoming a yoga teacher- merged when I found the Kranti Yoga program in Goa, India. I am so grateful for my workplace for allowing me to take this time off to chase my dreams and for my family for all the support! My journey started with a few days in Delhi and at the Taj Mahal. I was also able to spend a few days in north Goa on the beach and several days at an elephant conservatory in Jaipur. My yoga teacher training program at Kranti Yoga consisted of 200 hours of yoga, so I spent a month in Patnem, Goa. At Kranti Yoga, I was doing four times the amount of yoga I was doing at home, which helped me gain physical and mental strength. Our program started at 5:30 AM with tea, 6-8AM yoga practice, and 8-9 AM meditation. Finally, we were able to eat breakfast at 9AM. Then we had class from 10AM-12PM, and more class from 3-7PM. After dinner, we studied anatomy and the Sanskrit language. This schedule really pushed me and strengthened my self-discipline. What is the most challenging experience you've had during your travels? 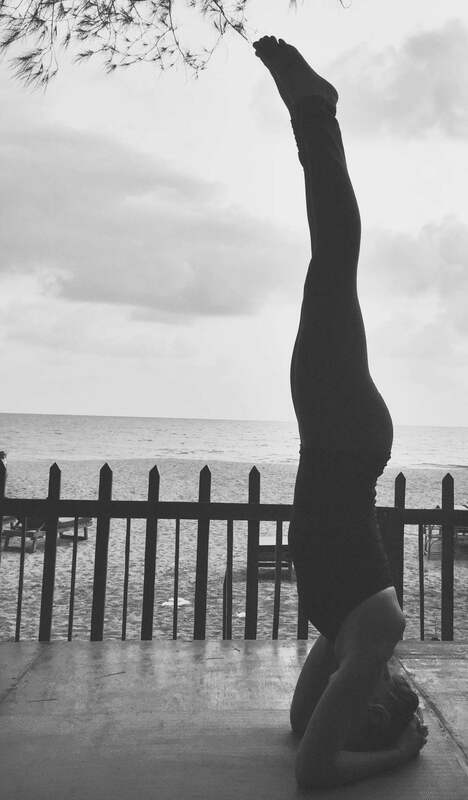 Kimberly: One challenge I had during my yoga journey was when I got injured. I was kayaking in the Indian Ocean with a few friends when a wave flipped my kayak. Somehow, the kayak cut my shoulder pretty badly- I had a 6" long cut going across my back. This cut caused me to sit out of yoga practice for two days. I was beyond frustrated, but there was nothing I could do until it healed. Thankfully, there were two doctors and a nurse in my program, so they helped me every day to make sure it didn't get infected. My minor injury taught me about patience (and now I have a pretty cool scar from India!). What is the most rewarding experience you have had during your travels? Kimberly: One of the ways I have learned throughout my travels is from all the wonderful people I've met. My yoga program consisted of 14 students- from England, Ireland, the Netherlands, Germany, Australia, Canada, India, and the U.S. Their travel stories and goals have been inspiring. Our group really became a family in the yoga shala since we all have a similar goal of helping others learn yoga. Meeting these people has been one of the most rewarding parts of my travels. I look up to every single person I met in the shala. It's nice to have such a wonderful global yogi community! What is something you have done during your travels that is outside your comfort-zone? Kimberly: Besides my time at Kranti Yoga, India has definitely pushed me out of my comfort zone (which is exactly what I wanted!). The Indian people are incredibly nice and are usually more than happy to help. The food is delicious - I can't wait to try cooking some Indian dishes when I get home. Some of the bigger cities are so crowded that the smells, sights, and sounds are completely overwhelming. If I had to describe India in three words, they would be: fascinating, beautiful, and chaotic. What’s in your Wanderlust travel bag? Kimberly: My wanderlust travel bag isn't very big. It consists mostly of yoga gear, but I also made sure to bring a few outfits for exploring the markets and the beach! I'm so glad I grabbed the Cheetah Maxi Dress from Moth Oddities Wanderlust Collection before I left. It's important to dress modestly in India, but the Goan beaches are much more relaxed. This dress was perfect for when I was able to go into the markets and explore. How have your travels impacted your life? Kimberly: Traveling has impacted my life because it continues to spark my curiosity. Each time I see a new place or culture, I want to know more. I love learning how different people live their lives and what makes different people happy around the world. Traveling also makes me grateful for what I have at home. What is the most enlightening experience you have had during your travels? Kimberly: I have been able to meet up with some friends for part of my travels, but the majority of my trip has been solo. Exploring such a chaotic country on my own has been incredibly enlightening. It's exciting to know that I am capable of traveling alone, and that I really enjoy being pushed out of my comfort zone. Kimberly: When I return home, I am excited to begin my yoga teaching journey. I can't wait to help others in their yoga practice, as well as continue to develop my own passion. Namaste! P.S. I'd recommend adding India to your travel list - it's incredible! Hope you enjoyed Kimberly's Wanderlust Story! We can't wait to attend Kim's yoga classes when she is back in the U.S. It has been such a joy to stay in touch with Kimberly, Carolyn, Anna and Megan through their travels. We are honored to be able to share their stories with all of you! Even though our Wanderlust Story blogs have come to an end, we are excited for new things ahead. Check back soon for awesome summer collaborations and stop over at the Wanderlust Collection Lookbook to grab your favorite items for your next adventure!